July 2 1987 - Per Lindstrand and Richard Branson lift off their balloon 'Virgin Atlantic' (at the time, the largest ever flown at 2.3 million cubic feet of capacity) from Sugarloaf Mountain for the First transatlantic flight in a hot air balloon. July 2 1982 - In the homemade Inspiration I, consisting of a patio chair attached to 45 eight-foot (2.4-m) helium-filled weather balloons, American truck driver Larry Walters lifts off from the back yard of a home in San Pedro, California, planning to drift at an altitude of about 30 feet (9.1 m) for a few hours before using a pellet gun to shoot out some balloons and descend gradually. Instead, Inspiration 1 quickly ascends to an altitude of 15,000 feet (4,572 m). After drifting into controlled airspace near Long Beach Airport, he uses the pellet gun to shoot out several of his balloons before accidentally dropping the pellet gun overboard. He gradually descends, becomes entangled in power lines, climbs down safely, and is arrested. July 2 1937 - Amelia Earhart and navigator Fred Noonan disappeared over the central Pacific Ocean en route in their Lockheed Electra 10E to Howland Island during an attempt to circumnavigate the world. July 4 1980 - A seven-year-old boy is killed and several others are injured when he manages to fire an ejection seat in Lockheed S-3A Viking, BuNo 159769, c/n 394A-1098, of VS-24, at NAS Willow Grove, Pennsylvania during an open house. July 5 1917 - First flight of The Fokker Dr.I Dreidecker, famous WWI German triplane fighter aircraft. July 6 2013 - Despite suffering a mid-flight tear in its wing, Solar Impulse HB-SIA flies 495 km (307 miles) from Washington Dulles International Airport in Virginia outside Washington, D.C., to John F. Kennedy International Airport in New York City in 18 hours 23 minutes at an average speed-over-ground of 27 km/h (16.8 mph) and reaching a maximum altitude of 3,110 meters (10,203 feet), becoming the first solar-powered aircraft to fly across the continental United States. 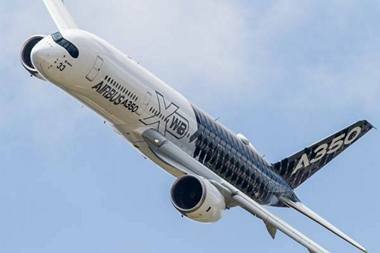 During the 64-day journey, which had begun on 3 May at Moffett Field in California, HB-SIA has made five intermediate stops and covered 5,659 km (3,514 miles) in 105 hours 42 minutes in the air at an average speed-over-ground of 53.5 km/h (33.2 mph). July 6 1819 - First woman to be killed in an aviation accident: Sophie Blanchard, when her hydrogen-filled balloon caught fire and crashed to the ground. July 7 1981 - First solar-powered aircraft flight across the English Channel. MacCready Solar Challenger flew 163 miles from Pontoise - Cormeilles Aerodrome, north of Paris, France to Manston Royal Air Force Base in Manston, United Kingdom, staying aloft 5 hours and 23 min, with pilot Stephen Ptacek at the controls, powered by at least 16,128 solar cells on the upper surfaces of the wing and tailplane. July 7 1950 - First Farnborough airshow held. USA, Everett: George Luck an accomplished pilot and a renowned flying instructor died when his Beechcraft Bonanza lost power during take-off and crashed in a wooded area south of the runway at Paine Field in Everett. Mr. Luck, 80, served 25 years in the USAAF. In 2011, he was given a Wright Brothers "Master Pilot" award from the Federal Aviation Administration for 50 years of "outstanding contributions that further the cause of aviation safety." USA, Boston: Massachusetts State Police say they are holding three men who were allegedly intoxicated and acting unruly on a flight from Ireland to Boston. The men won't be criminally charged but are being held in custody until they are no longer intoxicated. Canada, Montreal: A tire from a Falcon 10 jet crashed through the roof of a Montreal apartment building. Colombia, Choco: A Mother and baby survived in the Colombian jungle for five days after the twin engine Cessna in which they were flying crashed. The mother had some injuries and burns while her baby appeared to be in good health. The mother and baby were found about 500m from the site of the crash in a ravine on the banks of a river. The pilot was found dead at the controls. USA, Alaska: A DeHavilland DHC-3 Otter with nine on board crashed into a 800 meter rock face above a lake. The eight passengers were guests on the Westerdam, which is on a seven-day cruise that departed Seattle on Saturday and on a sightseeing flying when the accident occurred. There were no survivors. 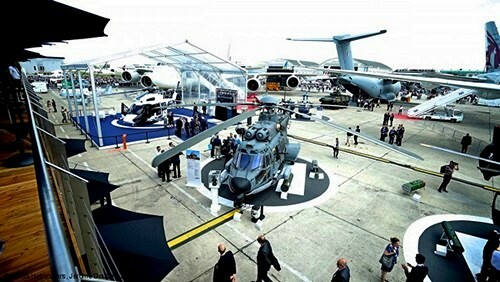 Russian Helicopters (part of State Corporation Rostec) is taking part in the international military technology forum Army-2015, which runs from 16 to 19 June in Kubinka, Moscow Region. Participants and visitors will have the opportunity to see Russian Helicopters' military models, which are in service in the Russian Armed Forces, and also upcoming developments and export models. "Russian Helicopters is keenly focused on the development of the domestic military industrial complex," Russian Helicopters CEO Alexander Mikheev said. "In close collaboration with the Russian Ministry of Defence, we are developing new models of helicopters, which ensure our country's defences. Russian Helicopters is successfully fulfilling the state defence order, equipping the Russian Armed Forces with new helicopters in strict accordance with the supply schedules set out." Piper Aircraft has announced the delivery of the first production diesel Archer DX into Europe to European Aircraft Sales in Denmark. "The diesel powered Archer DX was designed to provide our customers with greater access to more economical and readily available fuel sources. 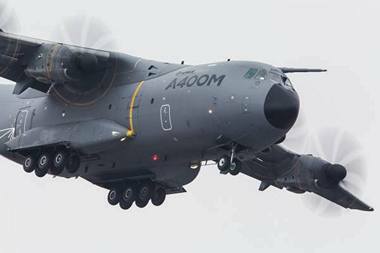 The aircraft offers exceptional fuel burn, which results incompetitive operating costs. Our continued dedication and commitment to ongoing product advancements makes our family of products the pilot's choice," said Simon Caldecott, President and CEO at Piper Aircraft. "Delivery of the Archer DX into Europe makes sense." 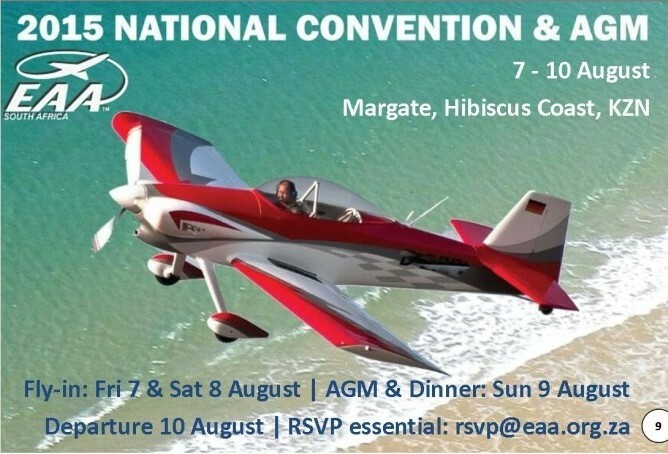 Originally launched in cooperation with Continental Motors at the Aero Friedrichshafen tradeshow in Germany last spring, the Archer DX has been marketed throughout Europe ever since. With traditional leaded avgas being expensive and difficult to find in some countries, the DX has been readily accepted and widely acclaimed. A Continental CD-155 compression-ignition engine powers the aircraft, with the capacity to use both Jet-A and diesel fuel (EN590) independently or in any ratio combined. Powered by the Continental CD-155 diesel engine, the Archer DX cruises at a speed of 114 KTAS / 211 km/h (at 70% power) on only 5.8 gph / 22 kph of jet fuel. 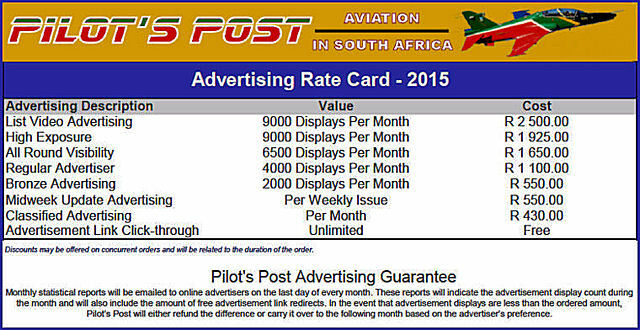 The G1000 avionics is standard and provides a great mix of low workload and high technology. The special flight school interior, and the aircraft overall, is designed to stand up to the rigors of flight training. The Archer DX offers competitive operating economics with a proven airframe perfect for flight training organizations worldwide. Over 230 delegates from the air traffic management (ATM) industry met last week in Durban, South Africa, for a series of meetings that addressed key ATM issues in Africa and globally. The first meeting included ANSPs from across Africa to discuss further improving safety. The CANSO Africa Conference focused on how to strengthen ATM in Africa on a sustainable basis to meet the expected growth in air traffic in Africa, thus improving connectivity and bringing significant economic and social benefits across the continent. The CANSO Global ATM Summit discussed six leading-edge case studies that are helping to strengthen ATM globally and enhance safety, improve efficiency and reduce costs for customers. The CANSO Global ATM Summit with its theme of "Strengthening air traffic management" took place on 15 June attended by 230 delegates. The keynote guest speaker was the Honourable Ms Sindisiwe Chikunga, Deputy Minister of Transport. She highlighted the mood of confidence in the future of the African region. She said investment is needed in air transportation, which is the core driver of the economy and creates jobs. South Africa has been at the forefront of promoting a single air transport market for Africa and it seeks to ensure other countries in Africa are aware of the benefits of full liberalisation. The Deputy Minister urged the meeting to promote gender equality in the air transport industry. Charles Schlumberger of The World Bank talked about financing of ATM infrastructure. He said that the latest technologies provide a huge opportunity to ensure appropriate and efficient infrastructure, particularly in developing countries. He outlined the options for investment provided by sources including public private partnerships (PPP) as well as capital markets. The Goodyear Tire & Rubber Company's newest airship, Wingfoot One, will continue a long tradition of Oshkosh Goodyear appearances with its inaugural visit to EAA AirVenture Oshkosh 2015, the 63rd annual Experimental Aircraft Association fly-in, at Wittman Regional Airport in Oshkosh. Wingfoot One is the first of Goodyear's new generation of semi-rigid airships. First flown in spring 2014, the airship was manufactured by Germany's ZLT Zeppelin Luftschifftechnik and assembled by a team of Zeppelin and Goodyear engineers. 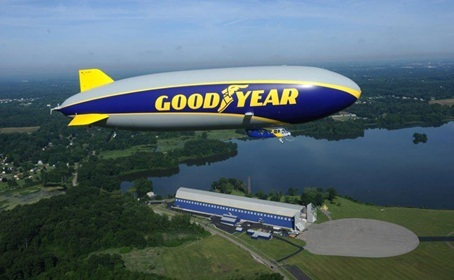 It represents the first major structural change of a Goodyear airship in nearly 70 years. Photo courtesy of Goodyear The new airship features advanced on-board avionics and flight control systems with the capability to travel at faster speeds and hover in place. The spacious passenger gondola will provide an enhanced in-flight experience with sweeping, panoramic windows. Wingfoot One is scheduled to arrive in Oshkosh on Tuesday, July 21, and will be on display and fly at the event through Sunday, July 26. EAA AirVenture Oshkosh 2015 attendees will have the opportunity to see Wingfoot One perform in various air shows and meet the Wingfoot One pilots at a variety of events ranging from autograph sessions to forum presentations. "The excitement we have for Goodyear's return to Oshkosh is not only the unmatched sight of one of its iconic airships over our event, but as aviation people, we have a true curiosity regarding its background and construction," said Rick Larsen, EAA's vice president of communities and member programs, who coordinates EAA AirVenture features and attractions. "Goodyear has been an important AirVenture exhibitor for many years and we are thrilled that it is bringing Wingfoot One to next month's event as a pinnacle of lighter-than-air innovation and technology. 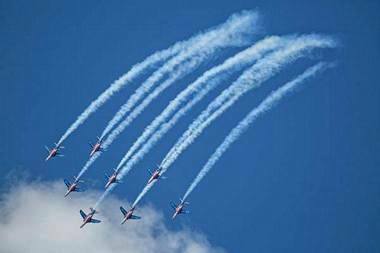 We are honored that it will grace the sky above EAA AirVenture Oshkosh 2015." The Wingfoot One appearance continues a more than 40-year tradition of Goodyear airship appearances at the popular event. The first Goodyear blimp appearance at the EAA fly-in was in 1971, when the airship America came to Oshkosh. Several generations of Goodyear airships have flown to and over EAA fly-ins since then. Airbus Helicopters secured orders for 52 rotorcraft during this year's Paris Air Show, with the H175 seeing its largest order to date. Milestone Aviation Group increased its combined orders and options for this helicopter to 28, taking the order book for the super medium to nearly 100 units. The H175 was designed to meet the oil and gas industry's most demanding transportation requirements, offering new levels of comfort and cost-efficient operation. Mexican operator Transportes A�reos Pegaso established a framework agreement to acquire 10 H145s, becoming the first Latin American customer for this four-ton-class twin-engine rotorcraft. The Argentinian Armed Forces signed an MOU for 12 H125 in view of renewing the AS315B Lama fleet of the Air Force and the Army. 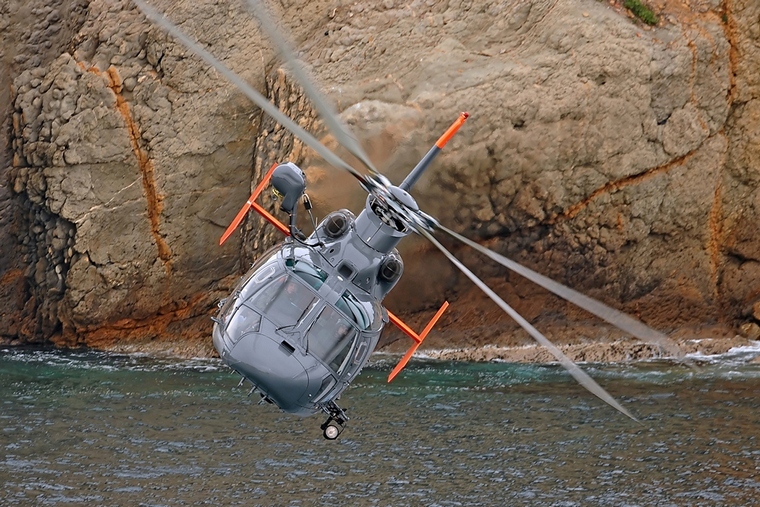 Commercial news from Asian customers included a PT Dirgantara Indonesia order for two AS365 N3+ Dauphin helicopters for search and rescue missions and a contract signature to overhaul two of Southern Vietnam Helicopters' (VNHS) AS332 L2s, which will include a new enhanced ground proximity warning system (EGPWS). To be performed by the Airbus Helicopters customer center in Malaysia, this work is to begin in the third quarter of 2015. Capturing the headlines at the Paris Air Show's Le Bourget Airport venue was the company's announcement that a two-year X6 concept phase has begun, enabling the assessment of major marketing, architecture and design choices for this twin-engine aircraft - which will be supplemented by a substantial dialog with customers worldwide to validate the X6's value creation for their operations. With a service entry anticipated in the 2020s, the X6 initially targets oil and gas missions, and also will be well suited for such applications as search and rescue, corporate airlift and VIP transportation. 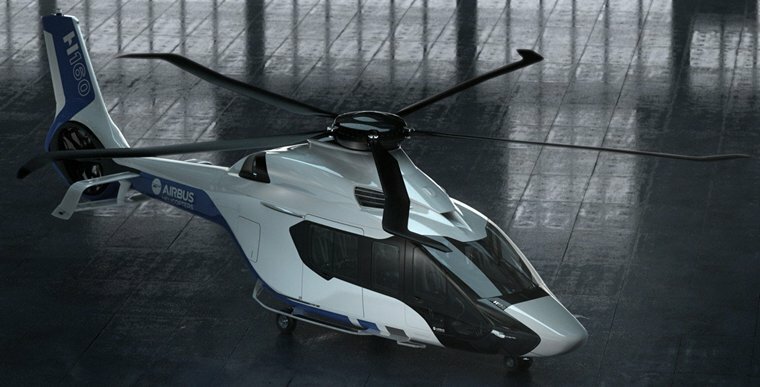 As a member of Airbus Helicopters' H-generation rotorcraft family, the X6 will build on the design advances from its recently-unveiled H160 medium-lift helicopter. The distinctive H160 also was at the center of attention during the show, being presented for the first time in Europe in the form of a full-scale mock-up that was located in front of the Airbus Group exhibit pavilion. In parallel, Airbus Helicopters announced the H160 has begun its flight campaign with the first two flights having occurred on 13 and 17 June at the company's Marignane, France headquarters. Also making news was Airbus Helicopters' unveiling of the H Pilot Club, an association that unites the worldwide community of pilots and technicians who fly and support its rotorcraft, while also providing opportunities for meetings to network within the industry, share best practices and gain insight into Airbus Helicopters. 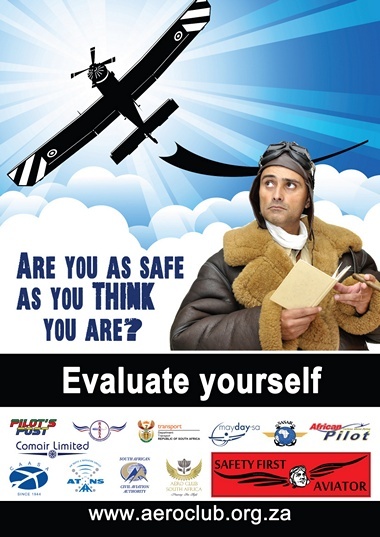 The H Pilot Club creates an effective framework for communicating, enabling members to exchange their knowledge that comes from the very diverse utilization of the company's rotorcraft. 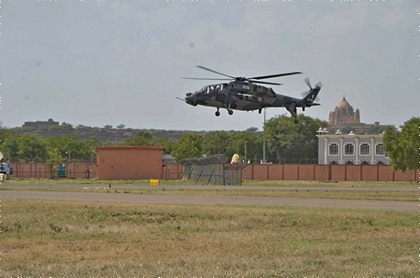 HAL's indigenously designed and developed Light Combat Helicopter (LCH) attained a milestone by successfully completing the hot weather flight trials for a nearly one week at Jodhpur recently. 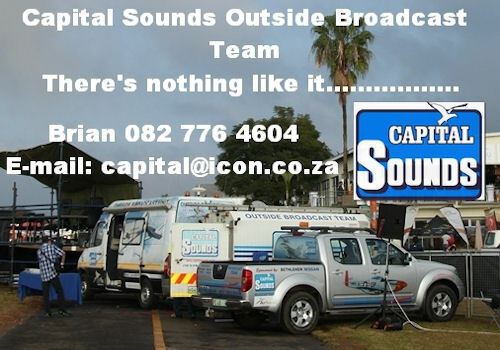 "Test flights were carried out in the temperature range of 39 to 42 degree Celsius. These were done with the involvement of customer pilots from Indian Air Force and Army in presence of representatives from RCMA and DGAQA", says Mr. T. Suvarana Raju, CMD, HAL. LCH prototype, TD-3 was ferried from Bengaluru to Jodhpur to achieve the successful trials. The flight testing covered 'temperature survey of engine bay and hydraulic system', 'assessment of performance', 'handling qualities and loads' at different 'all up weights', 'low speed handling' and 'height-velocity diagram establishment'. LCH had completed cold weather flight testing at Leh in February 2015. Two LCH - one on static and another on flying display- enthralled people at Aero India 2015 held in Bengaluru earlier this year. The LCH is expected to receive Initial Operational Clearance and enter into series production by the end of this year. About Light Combat Helicopter (LCH): The Light Combat Helicopter is a twin- engine, dedicated combat helicopter of 5.8-ton class designed and developed by HAL to meet the requirements of Indian defence forces. The helicopter is designed to carry out dedicated combat roles such as Air Defence, anti-tank, scout and support combat search /rescue missions. 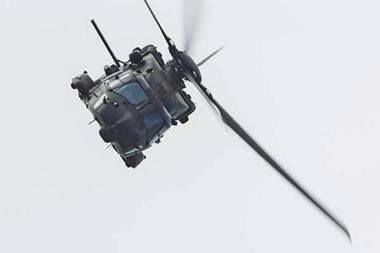 The indigenous design of the helicopter incorporates advanced technology features for facilitating combat operations and includes a narrow fuselage with tandem seating configuration for Pilot and Co-pilot / Weapon system operator (WSO). It incorporates a number of stealth features such as reduced visual, aural, radar and infra-red signatures and crashworthy landing gear, armour protection for better survivability. The helicopter is powered by two Shakti engines. 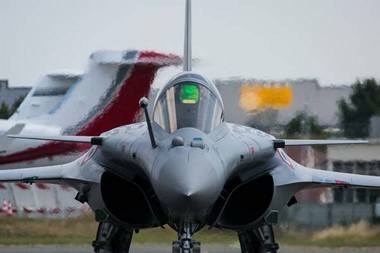 130 aircraft including the Falcon 8X, Dassault Aviation's latest business jet that went on show in public for the first time, and likewise the Airbus A350 and A400M. 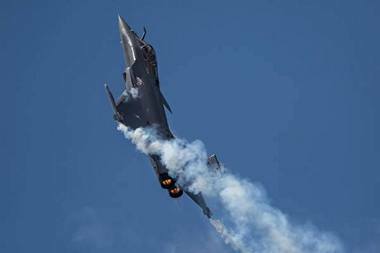 Dassault Aviation's Rafale, Bombardier's CS 300, the JF17 fighter from Pakistan, the Boeing 787 and the Airbus Group's E-Fan all drew huge crowds.